Home for Sale both on and by the Lake. 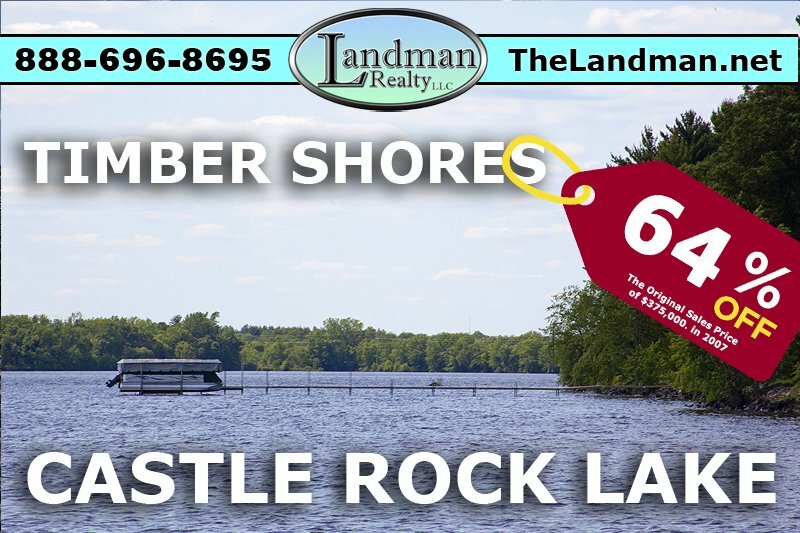 Have a Castle Rock Lake property to sell 888-696-8695 or click here! Are you looking for property on or by Castle Rock Lake? You found the right website for all types of Castle Rock real estate; Lakefront homes, Waterfront lots, Condos, Deeded Access Properties, Log Homes on or by the lake. PLEASE note Deeded Access DOES NOT mean you get a dock space, pier or boat slip these are limited have make the properties much more valuable. Also visit the Castle Rock Development Section of this website for an in-depth look at the developments on and around the lake. Listed below are listings for Castle Rock Flowage. The lists are organized by County, then by property type, Lakefront Homes & Cabins, Waterfront Lots, Deeded Access Homes, Off water Access Lots, Condos and Log Homes, Waterfront & Access. Plus you can view some of the hottest Castle Rock Property. Visit Adams County, WI. Website for more area information. Wisconsin Land for Sale | Log Homes | Homes & Cabins | Wisconsin Lakefront | Commercial WI.